This exercise will boost your self-esteem by 50x. It will make you confident in all your future endeavours, encourage you to take risks and help you live life to the fullest. The task is to write 50 awesome things about yourself. You can choose physical attributes, favourable elements of your personality and achievements you’re proud of. They can be obvious strengths or tiny secrets. Anything you think is awesome. It’s also perfectly acceptable to write about parts of yourself that you’re improving. Even if you don’t think you’re awesome at this thing yet, the majority of people have no interest in improving themselves. Most prefer to moan and be depressed about it while doing diddly squat to change the situation, so don’t hesitate to add these. What will this list achieve? 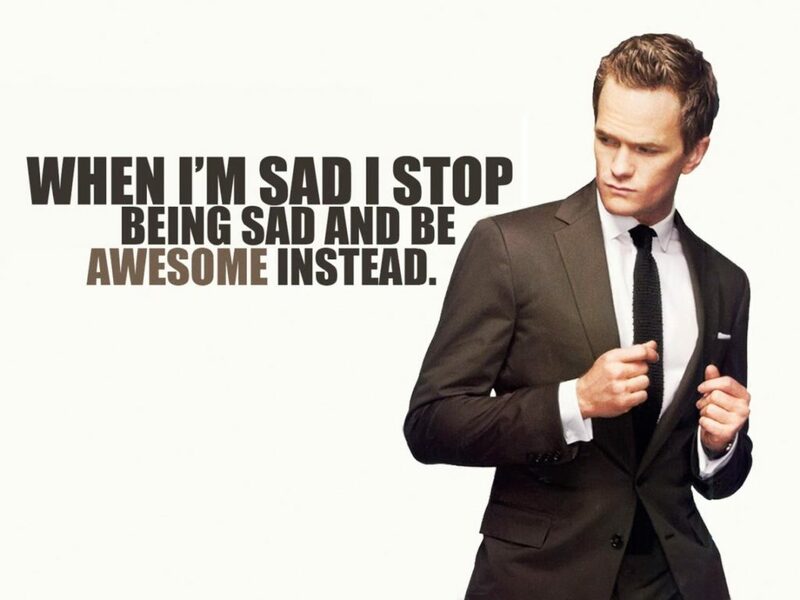 This list will help you permanently acknowledge your own awesomeness. Also, we all have moments or situations where we’re feeling less confident than usual. In these moments, remember this list. You don’t necessarily need to remember everything that’s on it, just the fact you wrote it. 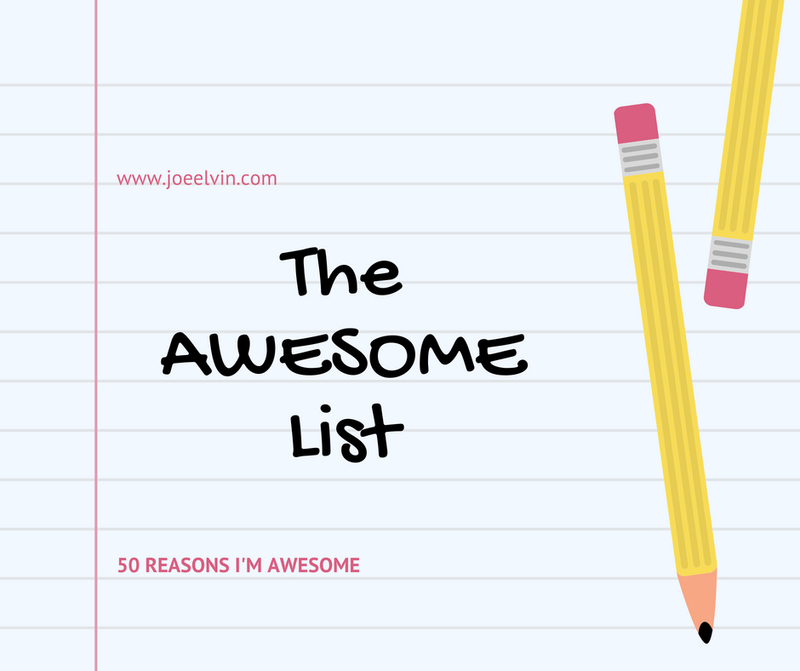 You were able to list 50 awesome things about yourself. This list probably has tons of things that would make people lucky to meet you. It probably features many achievements where you were nervous but got through it. This is nothing but your next unknown situation. At #1, write ‘I am human’. It’s a key belief in Eastern philosophy that all humans are equal. We all born with nothing. We all die with nothing. We all won the sperm race, (which is an awesome achievement in itself). Your heroes all started out as baby that soiled themselves every day. They’ll all end up buried in the ground. When you consider this, there’s no reason to lack confidence when dealing with other humans. Because you’re about it give your best at whatever situation is facing you. That’s all you can ever do in any situation. Stretching your comfort zone is one of the most awesome things you can do. These are the moments that we remember on our deathbed, but most people don’t even try. So, regardless of failure or success, the fact you did it is so awesome. Because 50 is a lot. It’s meant to be a lot, so don’t worry if you’re struggling. The purpose of this exercise is to stretch your mind and extract everything you think is awesome about you. Ask your friends and family for help if you have to. However, you get there, you should feel great for managing to write down this many. It’s enough to give you self-esteem, even if you’ve forgotten what’s on the list. So, grab a pen and get started. Your new life of high self-esteem awaits. Like this idea? I’ve collated all of my favourite confidence-building exercises in this free 7-day challenge.